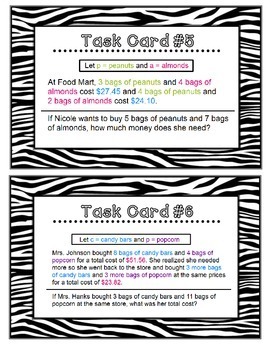 This is set of student "Task Cards" on the concept of Solving Systems of Equation Word Problems Using Elimination. 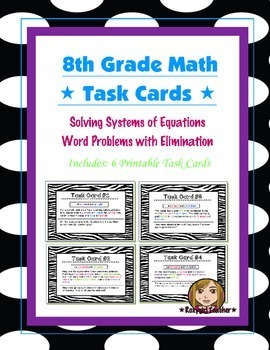 Included is a set of 6 "Task Cards" with complex real world situation word problems on solving systems of equations using elimination. Students are challenged to determine the systems of equations and find the solution to the systems of equations using elimination. They then apply the solution to answer the question for each word problem. 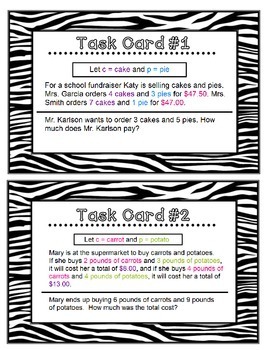 Included are easy elimination and hard elimination word problems. 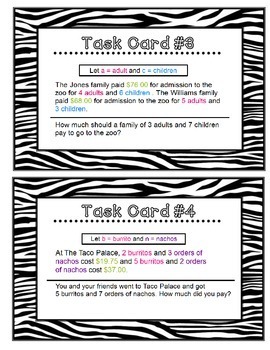 **These "Task Cards" come two to a page and should be copied on card stock.